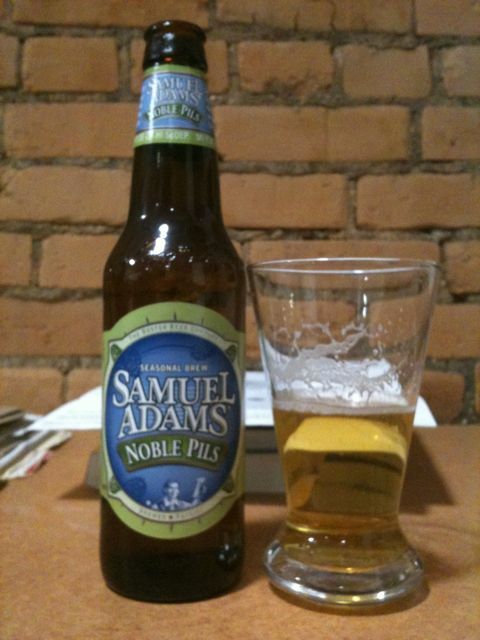 Samuel Adams® Noble Pils is brewed with all 5 Noble hops for a distinct hop character and fresh taste. 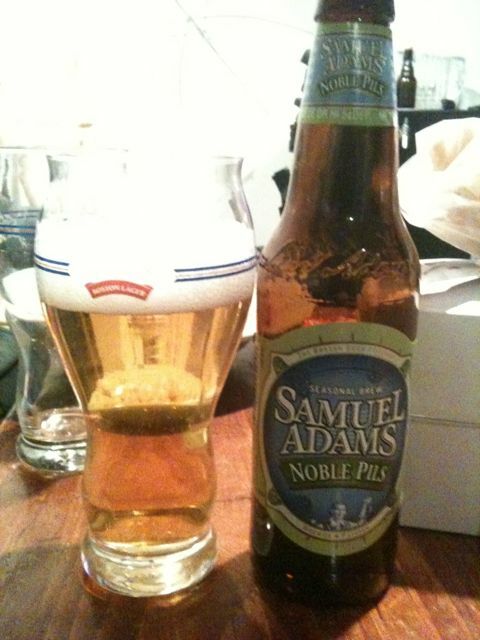 Deep golden in color with a citrusy hop aroma, Samuel Adams Noble Pils is a traditional Bohemian Pilsner. The honeyed malt character from traditional Bohemian malt is balanced by delicate yet pronounced citrus, floral, and piney notes from the Noble hops. The winner of our 2009 Beer Lover’s Choice election, this beer was chosen by over 67,000 drinkers for its crisp complexity and refreshing taste. Appearance: I poured this beer into the Sam Adams Perfect Pint glass, allowing the golden lager to fill the glass, topped off by fluffy white chink head. It is very transparent, but high in color saturation. The fine carbonation, which there was a good amount of, maintained that thick white cap, which left a great deal of lacing. Smell: Hop bomb for the nose; huge citrus hops, with floral and slight spice coming up behind. Lemon, sweet malts and a little grass notes too. Very potent smelling. Taste: One of the hoppiest lagers I have yet to try; very crisp and refreshing, with a non biting drying hop finish. It is like drinking a hop tea; citrus, mostly lemon, with some lime mixed in. The malt starts coming through after a handful of sips, and it slips in and out of focus as the beer progresses. Mouthfeel: Light – very lager like. Medium to high carbonation makes this light bodied beer seem lighter, but not distracting from the flavors. Drinkability: Very high; this is a great spring time session beer. As soon as the weather calls for sitting outside to enjoy a beer, this will be it. Notes: An amazing beer; takes a simplistic style of beer and does it very well. The hop smell is astounding, and with the drinkability so high, I think this will be a great first craft beer for some people. 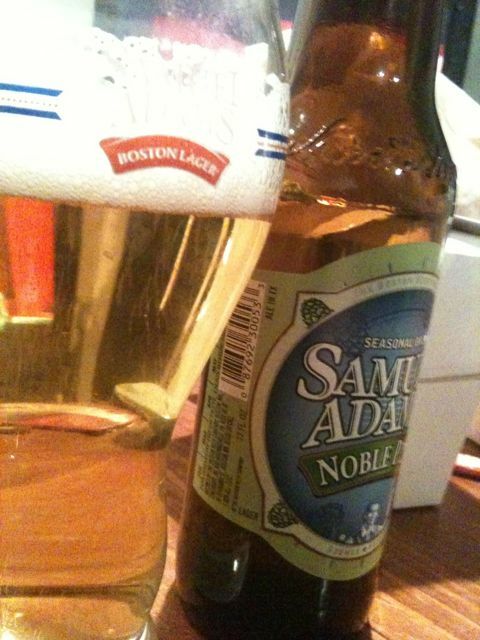 This is one of my favorite Sam Adams beers yet to be made.